This pretty 3 bedroom 1 1/2 bath twin really speaks to the independent, artistic spirit that Mt Airy is known for! 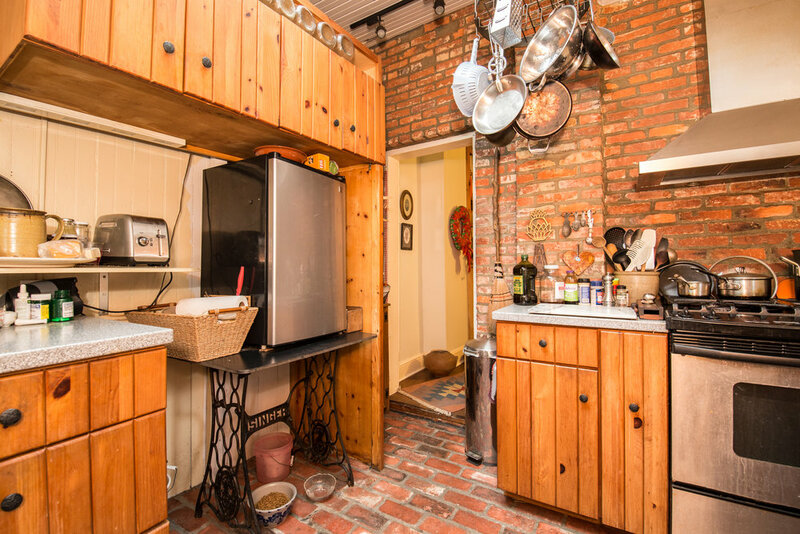 Charming tiled entry way, exposed brick, beautiful original floors, and warm built-ins and cabinetry. Front yard with lovely wrought iron fence and garden. Fenced rear yard has easy maintenance brick patio for morning coffee and dining al fresco. Needs a bit of sprucing up, but has updated electric, plumbing, and roof. This is a fabulous instant equity opportunity for a handy homeowner. Excellent location for walking to everything- the shopping and dining on Germantown Ave or catching the train or coffee at Allen Lane station.